Tammy came downstairs, saw it and said she wanted to read it…. I got my copy on Tuesday. My girlfriend thought it was a bit unusual to have a package with the phrase “Mallet of Lov” on the front. Loving it so far! Huzzah for the glorious Mallet of Loving Correction! 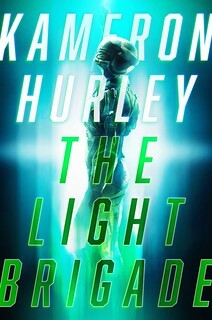 I can’t wait to read the book! Will you be baking a schadenfreude pie to mark the occasion? Woops, anniversary is next week. Getting my congratulations in seven days too soon (embarrassment). Got my copy a couple days ago. Looks sweet!! “Occasionally profane”? Dude, don’t anyone give that reviewer a link to Terrible Minds! Mail person didn’t bring mine yet, hoping tomorrow. Spouse said he got the shipment notification a couple days ago, but the box hasn’t arrived yet. That Fateful Knock on the door came today. The book looks great! The cover art works, though part of me wishes you’d gone with a picture of you, ‘shopped into an angel. Got the notice that it shipped yesterday. Now hoping that the Canadian customs critters expedite it across the border! Got mine yesterday. Looking forward to revisiting all the highlights you chose to print . . . .
Man, that was hilarious. Taking a break halfway through. Praise the Mallet! Praise it! Mine showed up today! Wheee! And I got copy # 300 of the limited edition. Nice round number. First impression – this is a -thick- book! I halfway expected something slender and arty. This is one weighty tome! I was halfway planning to re-read ‘Redshirts’ but that is now on hold for several evenings. Received copy #26 yesterday, looking forward to diving in this weekend! That’s either a signature, or a schematic of Vulcan’s solar system . . . not quite sure which (I’m not up on Trek lore, and with the reboot, it would not matter if I were). 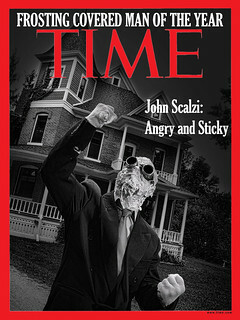 I’ll have a hard time convincing people that reads “John”, let alone “Scalzi”. Unfortunately, I will not be reading it for at least a few weeks yet, but I am looking forward to it. One thing . . . I was hoping for a prime number copy, but my life is full of disappointments. My son is deeply engrossed in his copy now. I haven’t had a chance to get near it yet. It can be difficult to buy gifts for older sons, and this one was a big hit. Thanks for supplying a well-appreciated birthday gift.